Today I decided I’d share with you my favourite podcast show for writer’s. 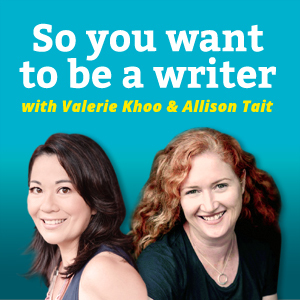 “So you want to be a writer” hosted by Valerie Khoo & Allison Tait. These ladies are from the Australian Writers’ Centre and host a great show. It airs weekly and covers all different types of writing tips and information. It covers blogging, novel writing and freelance writing. They also have great publishing tips from authors, publishers and editors. I also love how they have the show notes on their website (link shared above). My favourite segment is how they do an interview every week with a different author, the segment is titled ‘writer in residence.’ This part of the show is where they interview authors and get three top writing tips. I have found some of these interviews to be very insightful in the writing world. 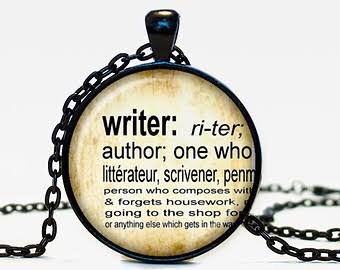 I have discovered lots of sites, authors, publishers and even apps for my phone to help with my writing. It was actually this podcast that pushed me to begin using social media as a platform for my writing. I first joined twitter and have built up lots of tips and learned a lot from this show over the past year. I have now decided to start this blog which is partly inspired by these two ladies. I highly recommend that you check it out and I bet you will be so impressed that you will backlog the past shows (75 so far). My favourite episode is hard as I have so many favourite. But if I could pick one it is would be the interview with one of my very favourite author’s Liane Moriarty. Let me know what Podcast’s you subscribe to in the comments below.